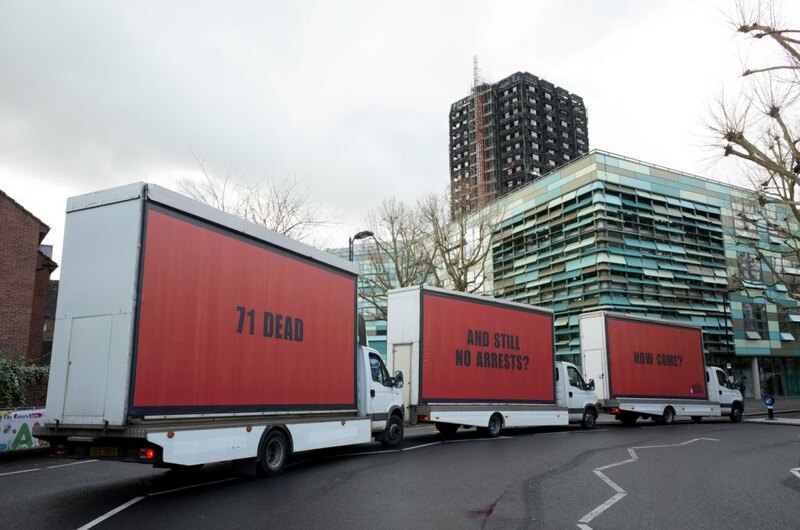 One hundred days ago Grenfell Tower was engulfed by flames in the worst, land-based, UK peacetime disaster since WWII. We have witnessed the best and the worst of humanity since those life changing events in the small hours of June 14th. 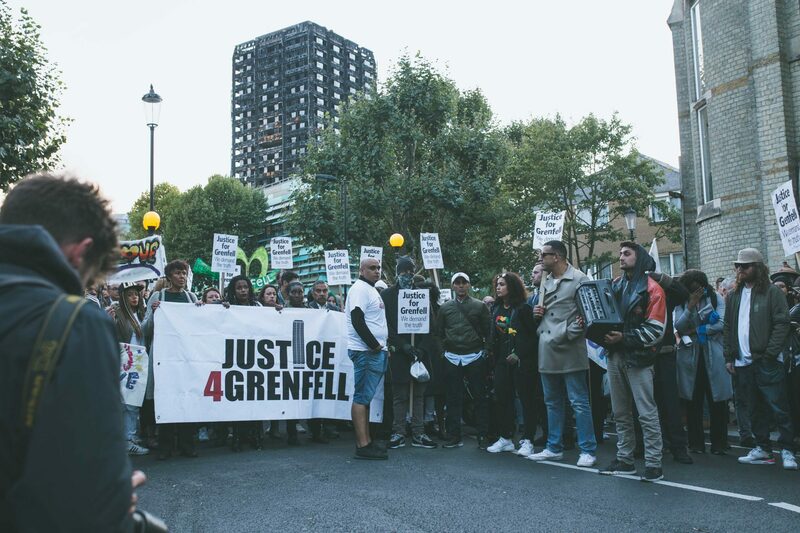 Justice4Grenfell mourns the loss of life, the shattering of a tight-knit community of vibrant, dynamic, talented souls. We offer our heartfelt condolences to all those who’ve lost loved ones, rest assured we will never ever forget and will do everything in our power to ensure those responsible are brought to justice. No-one can forget the way the community, on the night and in the immediate aftermath, stepped into the void left by the local authority to assist, support and care for their families, friends and neighbours. 100 days later nothing much has changed, the wider local community maintains common humanity, empathy and love looking after the survivors whilst some public and statutory services continue to largely fail in their responsibilities and duty to the survivors, bereaved families, evacuated residents and the wider impacted community. So much has happened since 14th June, so many promises have been made and broken by the authorities, so much pain, grief, despair, psychological trauma and anger has been endured by the survivors, bereaved families, evacuated residents and wider local community. The situation continues to be an on-going catalogue of blunders and failures; starting with RBKC leadership’s total failure to activate their own emergency/contingency action plan on Day 1. Theresa May visited Grenfell on 15th June to meet the emergency services but not survivors, the ensuing wave of criticism forced her to meet with a small, hand-picked group 2 days later and subsequently. 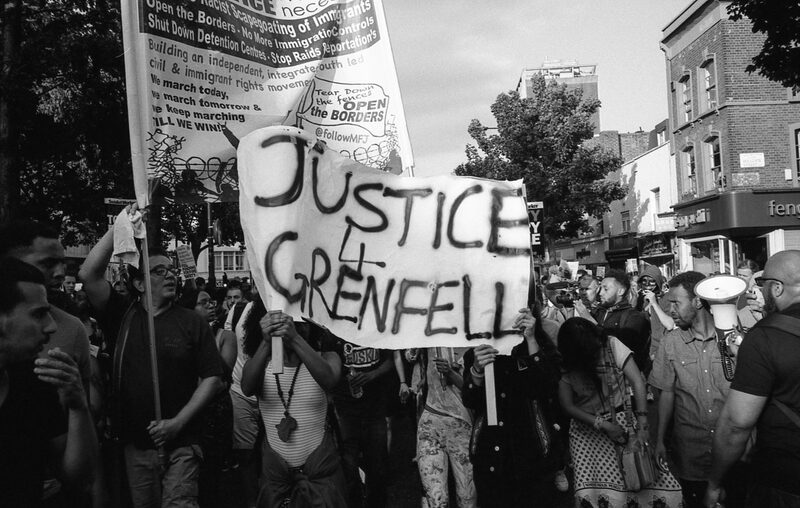 The Prime Minister made the first of many broken promises at that meeting – Grenfell Tower survivors would be rehoused, either temporarily or permanently, WITHIN 3 weeks. More than 3 months later the majority of survivors and evacuated residents remain in totally unsuitable hotel accommodation, separated from each other and their community, unable to start to try and rebuild their shattered lives, stuck in terrible limbo. Just 34 households have been permanently rehoused, with a further 29 households now in temporary housing. This is shameful. It is doubly so when we know that RBKC has both the highest number of empty properties in the UK and the largest reserves of any UK council. RBKC not only failed to distribute any of the public’s generously given donations to the community, the council actually removed them from the local organisations that had been receiving and distributing them and put them in storage. Those that weren’t given to the Red Cross (on whose authority we ask?) have been sitting in storage, not reaching those they were intended for. This week saw the return of some of those donations to the local community but only after a long struggle with the council. When the Prime Minister appointed Judge Moore-Bik to chair the Inquiry, she broke another promise – that the community would be fully consulted over who would be chosen to lead the Public Inquiry and on its Terms of Reference (ToR). Judge Moore-Bik was appointed without any consultation whatsoever. A less appropriate individual would be hard to imagine, his most notorious ruling enabled Westminster Council to rehouse a Social Housing tenant and her children in Milton Keynes – 50 miles away from relatives, work and school. This ruling, overturned 2 years later by the Supreme Court, is seen to have given the green-light to Councils across the UK to “socially cleanse” their boroughs. Judge Moore-Bik announced on the day his appointment was made public that he had already been given his very narrow Terms of Reference. The ensuing outcry forced him to open a period of consultation over the ToR. The Judge’s unsuitability to lead the Inquiry remains a live issue, J4G, our members and the wider community found his comments and behaviour at the formal opening session held last week to be further evidence of this. The choice of venue; the requirement for all present to stand when he entered the room (a hired venue and NOT a court of law); his overall tone; his dismissal of the call for survivors to be involved in the Inquiry; his refusal to take any questions all compounded the very real fear that we are looking at another Hillsborough. Moore-Bik has appointed a team of lawyers and related staff that fails to recognise the need to reflect the very broad ethnic, religious and social diversity of the impacted community in his team or to address this by appointing community advisors to the panel, this is another major source of concern. The Prime Minister also promised an amnesty for undocumented migrants, initially presented as open-ended, it was subsequently limited to 12 months. Even Moore-Bik has written to the PM saying that it needs to be unlimited otherwise the Inquiry risks not hearing vital evidence. Apparently, the need to really understand what happened on that dreadful night and what led up to it; to learn the lessons that Grenfell can and should teach us, is less important than pandering to an anti-immigration agenda. One hundred days after the fire, not only do we still not know the final “official” number of fatalities (considered by many in the local community to be closer to 200) we are now being told that the original, confirmed figure of 80 is likely to decrease. This is inconceivable, J4G, the survivors, bereaved families, evacuated residents and the wider local community know this figure of 80 cannot be true. 100 days on there is an increasing sense that a serious, concerted cover-up is going on, that those responsible are doing everything in their power to downplay the scale of the disaster and to dehumanise the victims and the survivors. Note: There will be a candle lit gathering at the Memorial Wall, Bramley Road at 4 pm on Friday 22nd September to mark the 100 day anniversary.